Moy Valley Resources IRD provides a Care & Repair Programme for people aged 65 or over in the North Mayo West Sligo region. 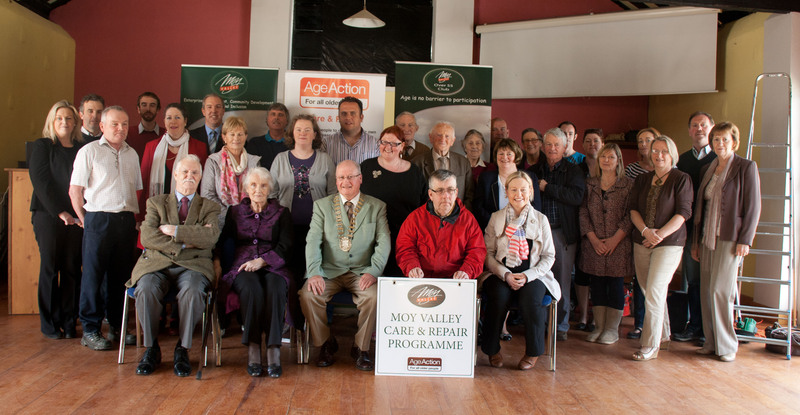 The programme was founded by Age Action and the Moy Valley Care and Repair programme is a franchise of Age Action Ireland. The main aim of the Programme is to assist older people who are 65 or over to carry out necessary small repairs and improvements to their homes, enabling them to live independently in the community in increased comfort and safety. – Installing domestic smoke alarms. A “job” is expected to take no longer than an hour, though many small tasks may be undertaken during the same visit. The service is safe and professionally run with all staff being fully Garda vetted and fully trained.